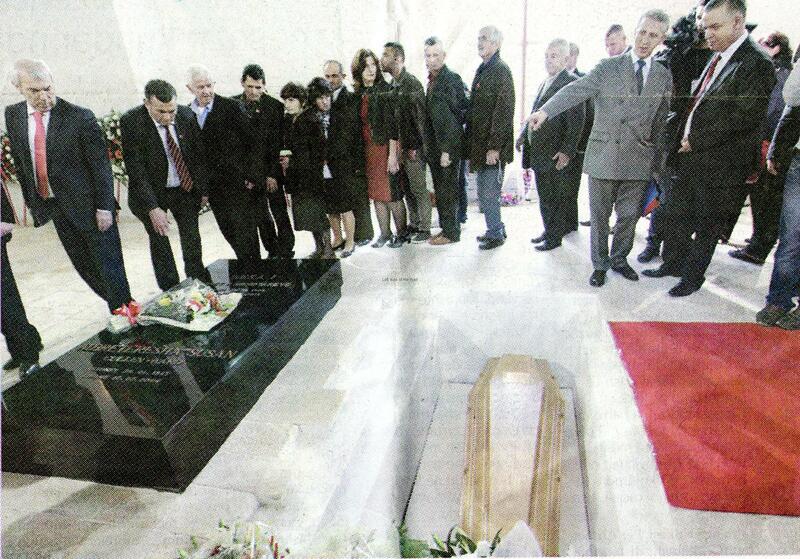 The ‘democratic’ government of Albania embraces the country’s reactionary, feudal and fascist past in a ceremony marking the return of the remains of Ahmet Zogu. On the 17th November 2012 a closed ceremony was held in a former royal palace (now a military barracks) to mark the return of Zogu’s bones from a cemetery in Paris where they had lain since the tyrants death in 1961. Very much an event for the politicians (it went virtually unnoticed in the city of Tirana) this occasion says much of how matters have developed in the small Balkan country since the chaos of the 1990s. In politics such occasions are never ‘coincidental’, despite the protestations of the present Prime Minister, Sali Berisha. The date is very relevant for Tirana as it was on the 17th November 1944 that the city was finally liberated from German Fascism after a long and bitter battle (following years of guerrilla warfare) by the Communist led Partisan Army. Neither was the location of the new tomb a matter of chance. It’s on the site of one of his former palaces and the place where his mother was buried after her death in 1934. Ten years later hatred of the Zogu family’s collaboration with Italian fascism meant that this tomb was blown up by the liberators of Tirana. Also the entrance to this once palace is directly across the road (Elbasan Road) to the National Martyrs’ Cemetery where those who died in the more than 5 year battle against fascist occupation are honoured. 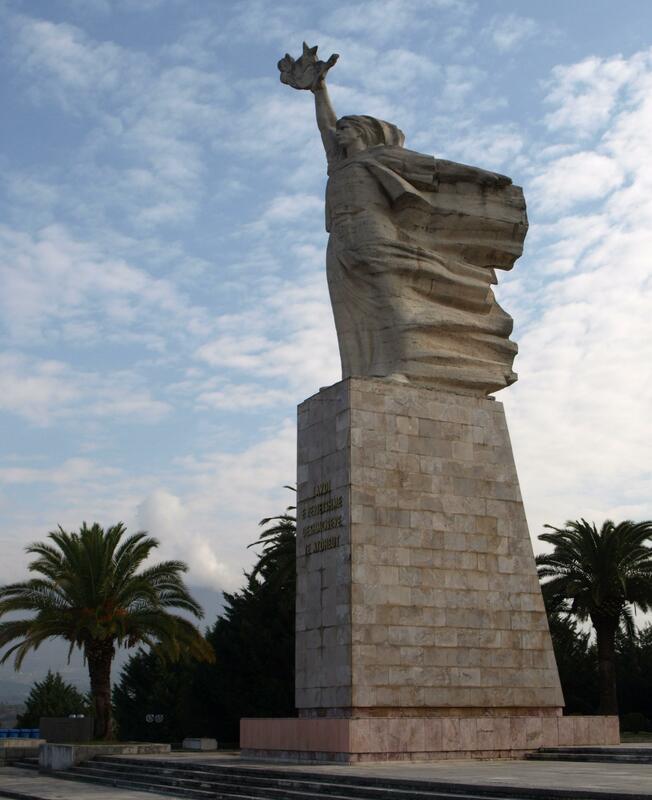 The cemetery overlooks the city from a high point in the south and is where the huge statue of Mother Albania holds high the red star of liberation. Berisha also sought to re-write history in his statement to the media. For the present Prime Minister Zogu’s running away from the country and making it to Britain when the Italians decided that direct rule was more desirable than his acquiescent collaboration; his suffering during his stay at The Ritz in London; and that his time in Parmoor Country House in Buckinghamshire are all indications of his ‘staunch anti-fascist struggle’. Whilst Zogu lived in such ‘hardship’ more than 30,000 Albanians died as a result of the fascist occupations, first Italian Fascist and then German Nazi, as well as huge material and economic destruction of what was still at that time a country barely out of feudalism. 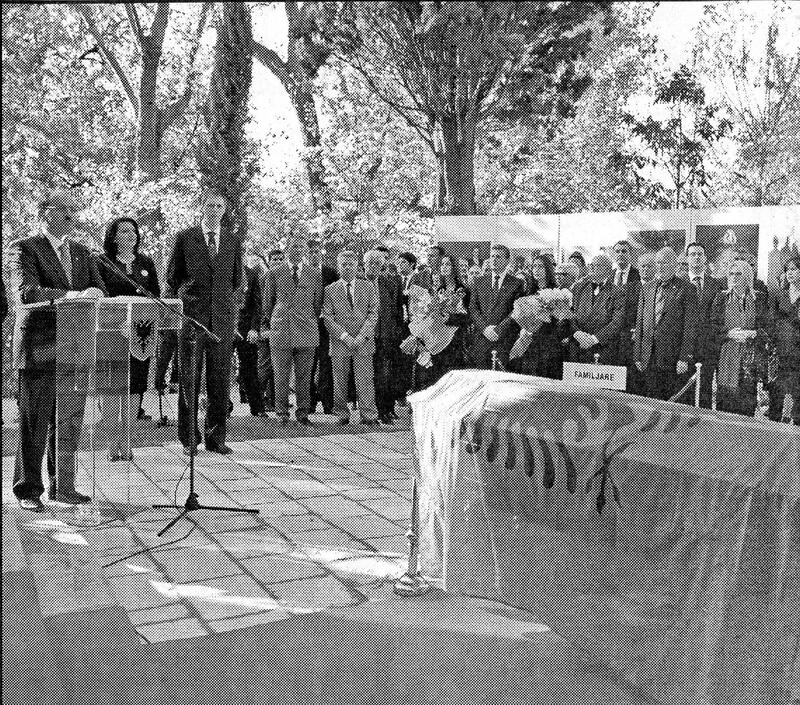 The so-called Socialist Party didn’t attend the ceremony, some of the leadership claiming they were involved in a celebrations for those who fell in the liberation of Tirana, others in the town of Korca in the north working on a new party programme yet a couple of opportunist renegades did attend the dinner (anything for a free lunch?). But the Socialist Party can’t really hold the high ground when it comes to monarchism. It was they who, in 2002/3, used their majority in favour of allowing the return to Albania of the ersatz king’s descendants. Here it’s perhaps worthwhile to look at Zogu’s history before his cowardly desertion of the country in 1939. He was from a feudal landowning family and when he entered politics this was to maintain the control of the country in the hands of his class, and as much in his own hands as possible. He was Prime Minister from 1922-4 and due to his policies (after many years of feudal oppression of the people) was thrown out by a popular uprising. He returned with the support of the White Russian General Wrangle (who had been defeated earlier by the then young Soviet Red Army) as well as some Yugoslav fascists – so early on establishing himself as a collaborator with any foreign power that would support his ambitions, whatever the consequences for his country. With military might on his side he was ‘elected’ President and three years later declared himself King Zogu I with the justification that he had some family connection to Skanderbeg, the 15th century national hero. (Even though Skanderbeg was a feudal lord the Communist government from 1944 to 1990 recognised that he stood, and fought, for national independence against the Ottoman Turks.) Claiming a blood relationship after a period of about 450 years was pushing it a bit far, probably all Albanians could have claimed some link to Skanderbeg in a country that barely had a million population at the beginning of the 20th century. This entry was posted in Albania, History, Travel and tagged albania, tirana, tomb, zog, zogu by Michael. Bookmark the permalink.